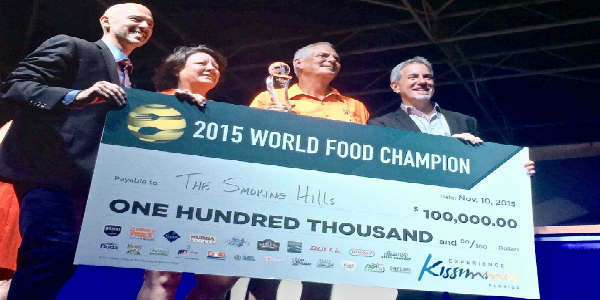 After a week-long battle, a wife and husband barbecue competition team from Kansas beat more than 1,100 competitive chefs, home cooks and food sport enthusiasts for the World Food Championships title in Central Florida on November 10. Downtown Celebration is picturesque on its own, but this weekend, the town’s Oktoberfest returns October 23 and 24. The event kicks off Friday with a traditional German experience, featuring the sounds of Dan Witucki & Heimatland Musikanten. Then Saturday, Oktoberfest becomes Rocktoberfest with live music starting at 1pm from Off Kilter, Jordyn Kane, and The Jonnie Morgan Band. On October 17th and 18th, Celebration Town Center transforms before your very eyes as the falling leaves of the season drop on Market Street in the Fall Festival known as Oktoberfest. On Friday October 17th, Oktoberfest will be celebrated in the old-world German tradition featuring the sounds of Dan Witucki & Heimatland Musikanten. Come join in on the interactive live show featuring everything from yodeling to crowd sing-a-long fun. On Saturday, The Jonnie Morgan Band will entertain. 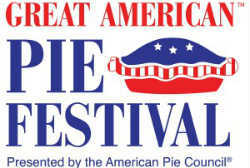 The town of Celebration, Florida will become the Pie Capital of the World on Saturday, April 26 and Sunday, April 27, 2014, when thousands of pie lovers, tasters and bakers gather together for the 13th Annual American Pie Council’s Great American Pie Festival. Help preserve America’s pie heritage by taking part in the pie eating contests, pie baking activities, cooking demonstrations, PieCasso art, the Baker’s Square Pietopia stage with live music and entertainment, games and much more. The highlight, as always, will be the Never-Ending Pie Buffet, featuring award-winning pie, ice cream, toppings, and beverages. Tickets to the buffet are only $10/adults and $5 for seniors 65+ and children ages 6-12, at the door. Last weekend, friends Matthew and Cris Reed attended the Posh Pooch event in downtown Celebration, and they were kind enough to share these photos with us. The event was free to attend, and dogs were welcome, as well. 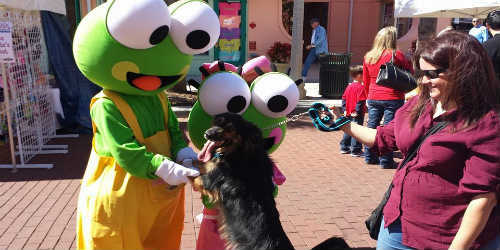 There were dog-friendly vendors, training demonstrations, and more. Hopefully the town of Celebration will hold this event next year! 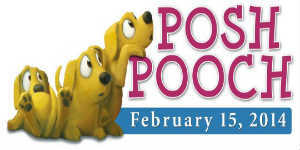 Get ready for a howling good time at Posh Pooch in the town of Celebration on Saturday, February 15. This event will feature dog-friendly vendors, activities, and demonstrations, along with food and performances for the entire family. Don’t have a dog? There will be several canine rescue groups in attendance that will have dogs in need of a loving home. This free event runs from 10am to 4pm in downtown Celebration. For more info, visit celebrationtowncenter.com. Looking for an Oktoberfest celebration that is fun for the whole family? Then you’ll want to check out Oktoberfest in the town of Celebration the weekend of October 25 -26. Celebration Town Center will transform into a European festival, complete with German music, food, and drink. There will also be hayrides, pumpkin painting, and more. On Friday, October 25th, Oktoberfest will be celebrated in the old-world German tradition featuring the sounds of Dan Witucki & Heimatland Musikanten. Come join in on the interactive live show featuring everything from yodeling to crowd sing-a-long fun. Admission and parking are free both days. Friday’s celebration starts at 5:30pm, and Saturday’s at 5pm. For more information, visit CelebrationTownCenter.com. 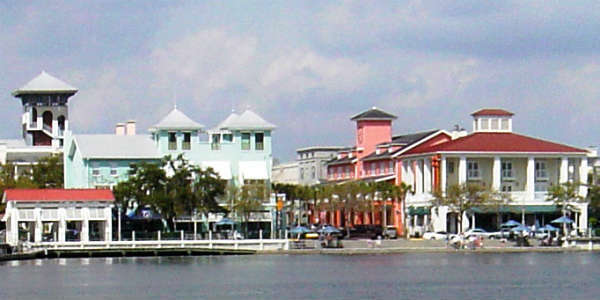 Celebration is located on the south side of Orlando, next to Kissimmee. 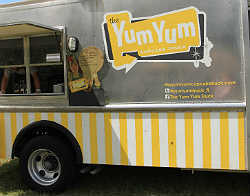 The Orlando area has a lot of great food trucks, but at the Food Truck Throwdown in Celebration on October 11, you’ll also get to try trucks from Tampa and Miami. Attendees will have the opportunity to vote for their favorite food truck and the winning truck will win recognition and a prize. Everyone who votes will have the chance to win dinner for two from the truck of their choice. 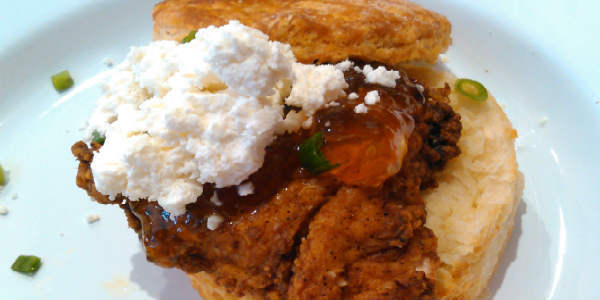 Most food trucks accept credit cards, but it’s advised to have some cash on hand, in case one doesn’t. There will be limited tables and chairs available, so you may want to bring your own blanket or chairs to make sure you have a comfortable place to eat. The event will take place from 5pm – 9:30pm, at Celebration Town Hall at 851 Celebration Ave. 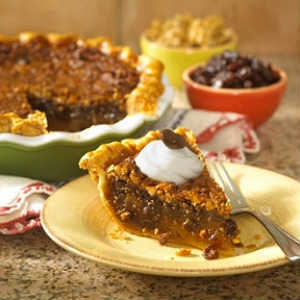 Whether it’s home-made or store-bought, sweet or savory, pies are enjoyed by millions of people world-wide. If you count yourself among those numbers, then you’ll want to be in Celebration this weekend for the 12th annual Great American Pie Fest. The event runs April 27 and 28 at Lakeside Park (631 Sycamore St.) in the city of Celebration, adjacent to Orlando and Kissimmee. It features pie baking competitions, pie tin art activities, pie eating contests, and baking demonstrations for the whole family to enjoy. But let’s be honest…the real reason people flock to the Great American Pie Fest is for the Never Ending Pie Buffet. For only $10 ($5 for seniors over 65 and kids under 5), you can enjoy all you care to eat and drink from the buffet, which last year featured 90,000 slices of pie, as well as ice cream and toppings. Admission is free, except for the buffet. Hours are 11am to 7pm, Saturday, April 27; and noon to 5pm, Sunday, April 28. For more information, visit celebration.fl.us or piecouncil.org. 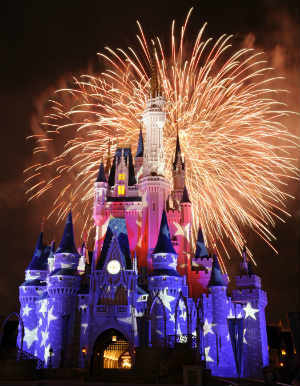 Wondering where to take the family this Fourth of July to catch a good fireworks show in the Orlando area? If you like a good slice of pie, you’ll want to be in Celebration this weekend for the annural Great American Pie Festival. It’s such a popular event that over 30,000 people are expected to showup. Oh, sure you can see the highlights later in some Food Network special, but why watch it on TV when you can bbe there in person, enjoying all this pie first hand. This year will be the 11th edition of the fest and it will take place April 28 and 29 in downtown Celebration. There will be a pie eating and baking contests, dmonstrations, vendor exhibits, and more, but let’s be honest. You go to a festival like this for the actual eating, which here includes a Never Ending Pie Buffet. Admission to the buffet is $10 for adults and $5 for children and seniors. Hours are 11am to 7pm on Saturday and noon to 5pm on Sunday. For more information, visit piecouncil.org. If you love pie, you’ll definitely want to check out this weekend’s Great American Pie Festival in Celebration. 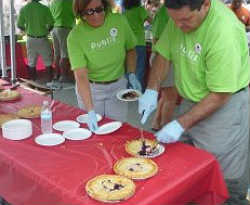 The annual event is produced by The American Pie Council and includes baking demonstrations and a pie eating contest. Oh, want to do some pie eating of your own, do you? How about the “Never Ending Pie Buffet” that will feature an all-you-can-eat banquet with thousands of award-winning pie slices. 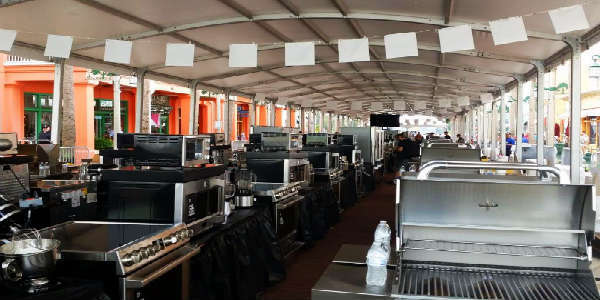 There will be flavors and fillings for all taste buds, as well as ice cream (a la mode, anyone? ), toppings and beverages. Admission to the Great American Pie Festival is free, but the buffet will set you back a measley $10 for adults and $5 for kids age 6-12 and seniors 65 and over. The fest runs 11am to 7pm on Saturday, April 9, and from noon to 5pm on Sunday, April 10. It takes place at Lakeside Park in downtown Celebration. Mmmmm…pie. What’s your favorite kind?